Our last stop on the Canal du Centre was the town of Fragnes. 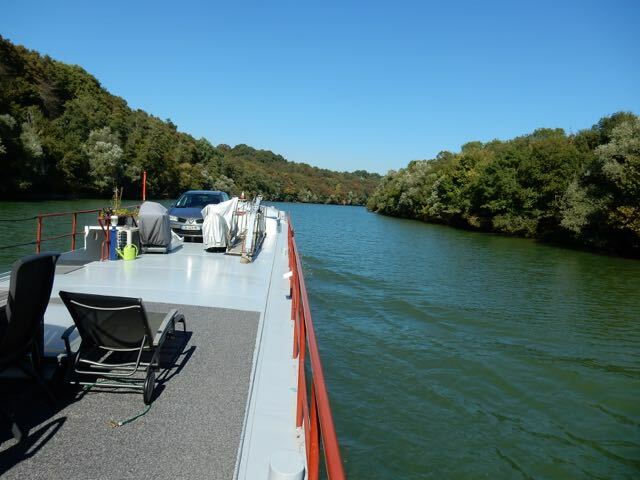 The mooring is nice, but most important it’s close to the big city of Chalon en sur Saone, but only if you have a car. There’s easy shopping, and we needed to pickup a few parts for Rabelo. Lisa and I went for a morning walk, and found a chicken farm next to the canal. The chickens were obviously free range as they were running around the yard eating the grass and weeds. One of Lisa’s great passions is fresh eggs. Unfortunately we couldn’t find an entrance to the chicken farm from the canal side path we were on. When we got back to Rabelo we asked Nathalie and Alaban to see if they could find the entrance and buy some fresh eggs. 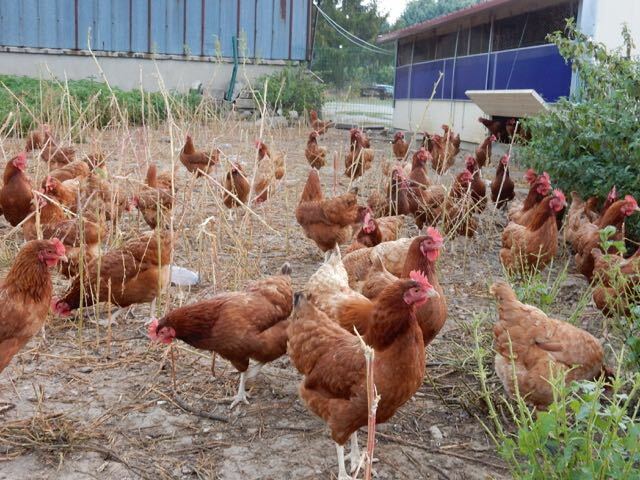 They returned with news that the chicken farm was only open to the public on Saturdays, so we were out of luck and eggs. Lots of chickens, but no eggs for us. 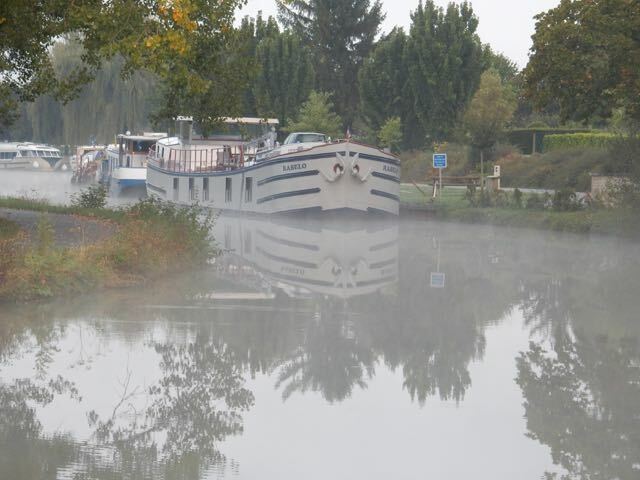 Plenty of fog for our last short run on the Canal du Centre. 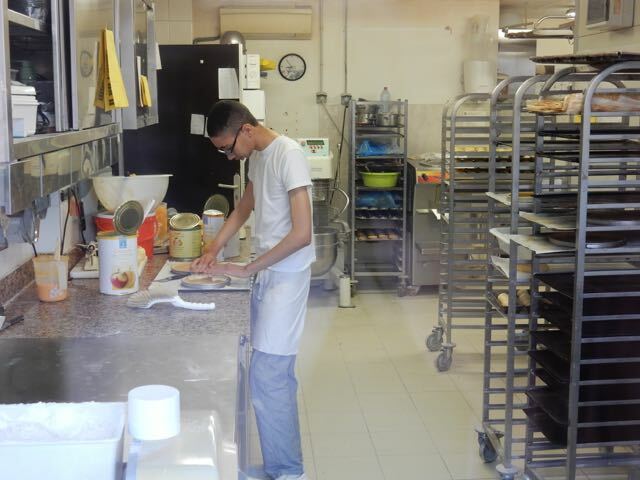 We had to visit the local boulangerie before leaving Franges. 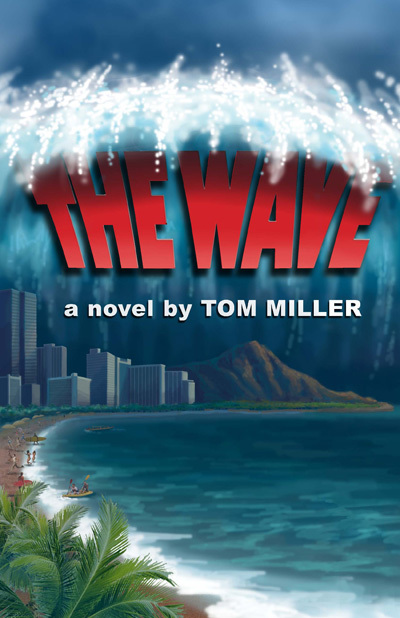 It was late in the season and the weather was turning cold. 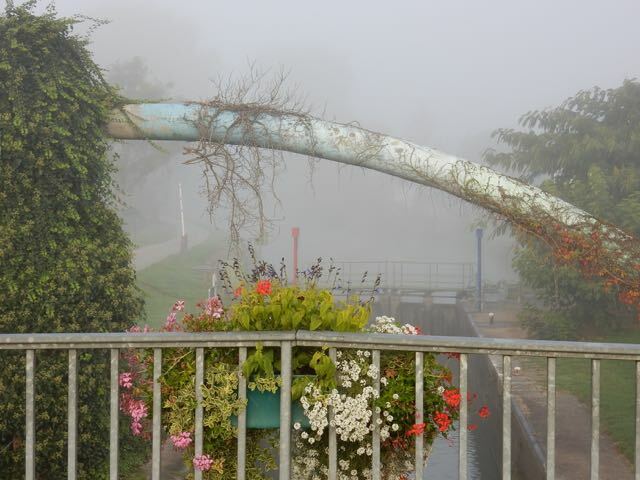 When we got up in the morning the canal was fogged in. I could barely see the Rabelo’s bow from the wheelhouse. I’ve only driven Rabelo a couple of times in fog, and I don’t like it. We had one last lock to negotiate before entering the Saone. 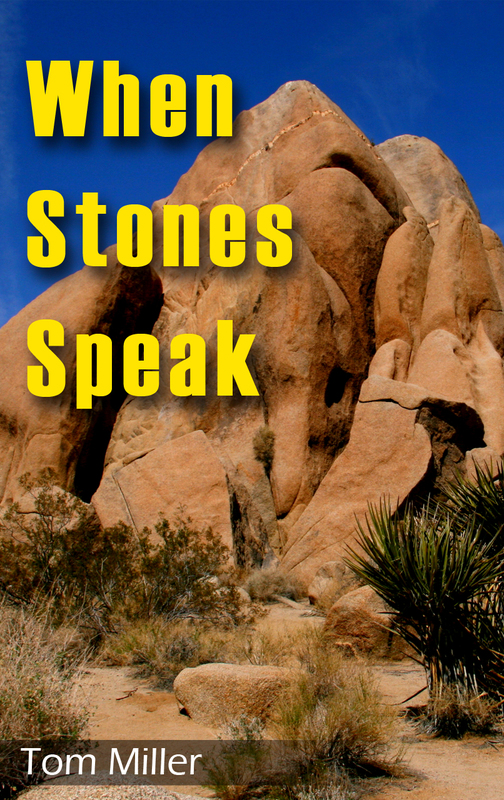 It’s over 11 meters high or 35 feet. It’s also unusually short. 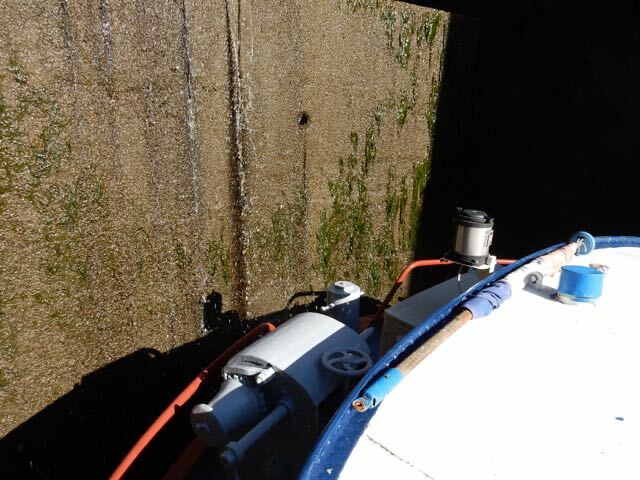 As Rabelo was going down in the lock there was only a couple of inches between our stern and the concrete wall of the lock. Rabelo’s last morning in Fragnes. 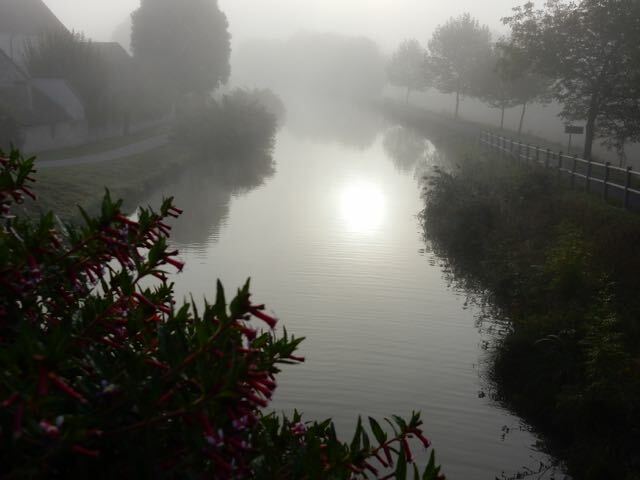 Fog on the Canal du Centre. 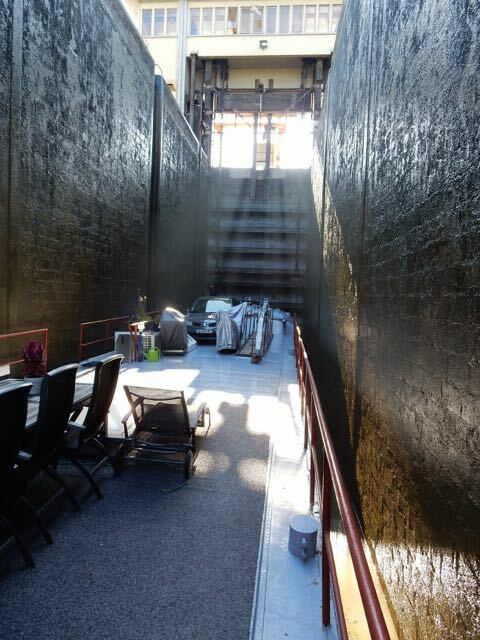 A tight fit in the last lock on the Canal du Centre. 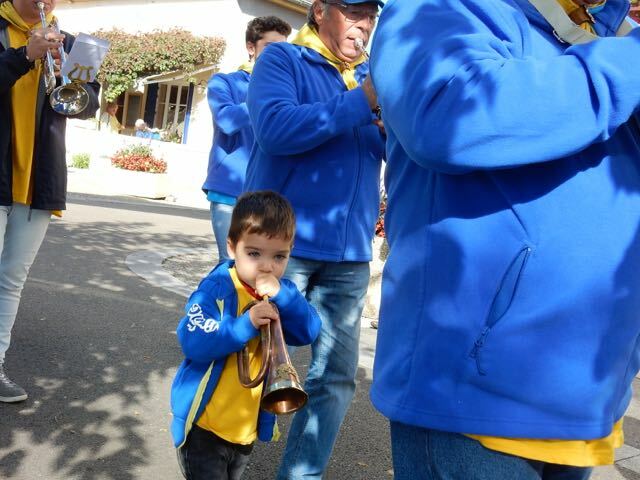 Rabelo is heading for the Saone. 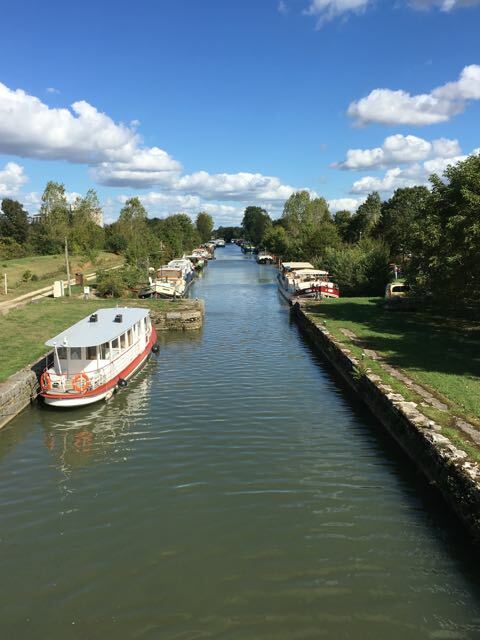 After spending almost two months on the Canal du Center and the Canal Digoin a Roanne, both of which are difficult to traverse for a barge the size of Rabelo it was nice to get back on the wide open reaches of the Saone River. I opened up the throttle on the engine in order to blow out some of the carbon that had built up while running at low speed on the small canals. We sped up the river at a stately rate of 10 kilometers per hour. It’s great to be back on the Saone. We made it back to our homeport of Saint Jean de Losne without incident. The crisp air and blue sky were a nice change from the overcast skies we’d been having. 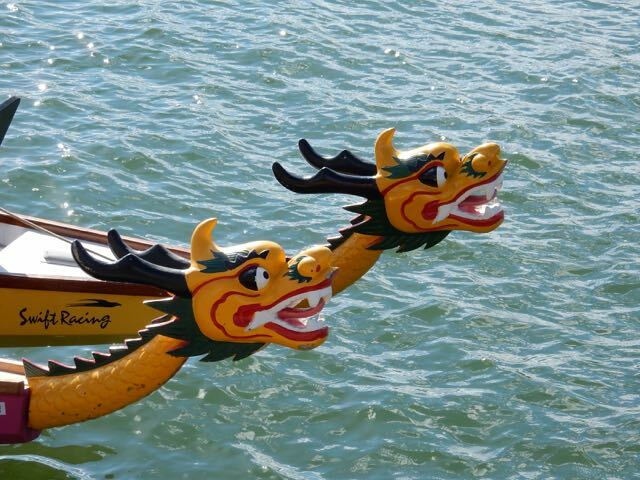 The best news was that we had made it back in time for the dragon boat races. 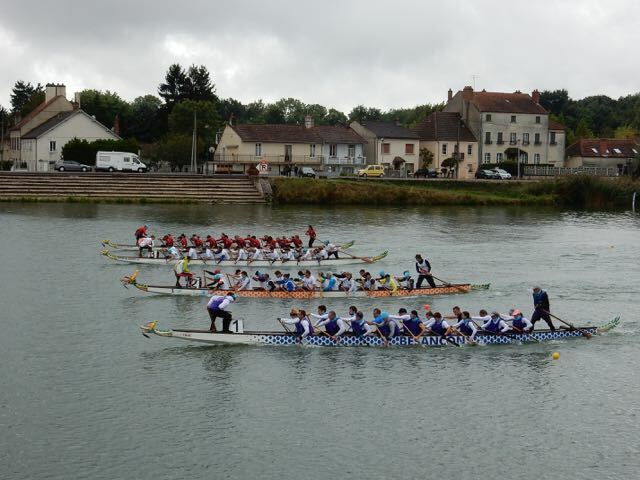 Dragon boat teams come from all over France to compete in these races. There are a number of different classes, but the most exciting is the big boat class with 18 paddlers, a drummer and a helmsman. The crews train for a couple of months to get ready for the races. The boats had both men and women of all ages. There was a local marching band, and the residents of Saint Jean de Losne had decked out the city with decorations made of knitted yarn. 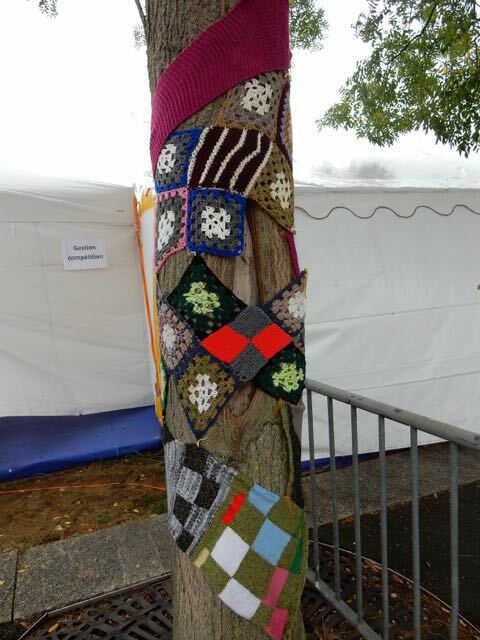 They called it a yarn bomb. A small part of the city wide yarn bomb.